Smoking is interesting. Almost everywhere around us there are signs banning smoking or telling people smoking kills. Most pieces of media involving smoking are almost uniformly negative. Nearly every single person is at least aware of the dangers of smoking, yet the smoking industry is a billion dollar cash cow that sells to millions of Americans. So what is it about smoking that makes it less of an issue to college students? After talking with a few college students, one thing became clear, unlike what some studies indicate, the reason people don’t quit isn’t an issue of the difficulty commonly associated with it, but rather not having no inclination to quit smoking. All the students interviewed did not mention difficulty quitting, withdrawal or any negative reason as a reason to stop smoking. Hicks has been smoking or quite a while, since he was 14. Growing up in the Middle East, he says almost everyone smoked, which strongly influenced his decision to start smoking. Originally starting smoking at 14, Hicks describes his reason for starting as a sort of peer acceptance where everyone did it and everyone assumed everyone else did too. If a peer wasn’t a smoking, it would be surprising. Despite owning multiple hookahs and occasionally smoking cigarettes, Hicks has no fear of future health problems. “[They] just don’t seem real,” Hicks said. “It’s not like I don’t think they exist, but I don’t know…” Hicks trails off and laughs a little. Hicks, like the other students interviewed sees the health issuse as something disconnected from him, his friends and other smokers his age don’t need to deal with. Although Hicks doesn’t view his smoking as something immediately dangerous to his health, he doesn’t plan to continue smoking this way until his last breath. Hicks says he has no plans to reduce his tobacco intake any time soon but doesn’t see himself still smoking in ten or so years. Seeing as nearly everyone knows the dangers of smoking, this makes sense. Hicks’ relationship with smoking is very interesting. Compared to most smokers his age, Hicks is a kind of life-time smoker. Even as someone who smokes much more heavily than most people his age, Hicks doesn’t think that smoking will have a very big impact on his life. Like Hicks, Yuri Piebenga is a smoker who doesn’t really think the commonly associated health issues are that big a deal. Hicks says he doesn’t think he’ll see any major lasting effects from smoking, or if he does they’ll be minor. But even more than believing the effects are minimal, Piebenga sees his smoking as something that he does infrequently enough to not really negatively impact his health. Piebenga, like Hicks, smokes for enjoyment. Piebenga started smoking not too long ago. According to him, he only smokes American Spirit brand cigarettes and says no other brand is worth a second glance. 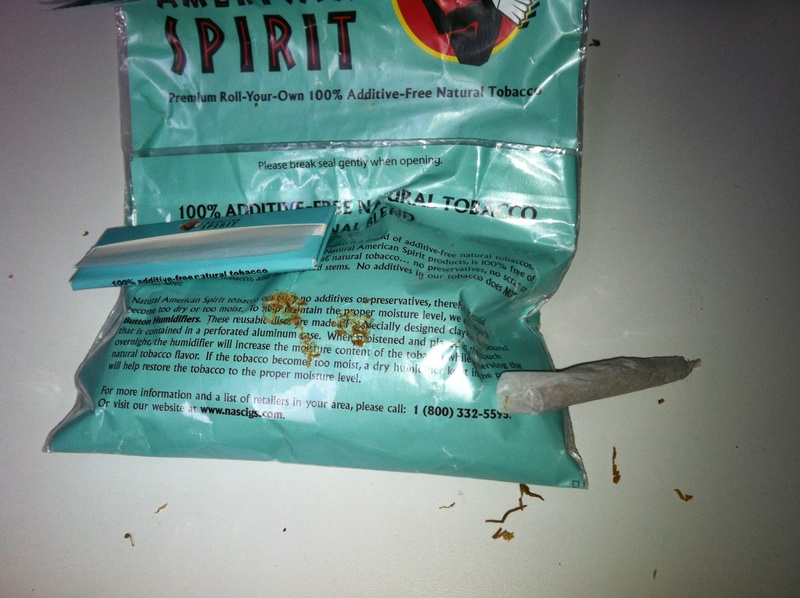 A pouch of American Spirit brand rolling tobacco, rolling papers, and a hand-rolled cigarette. Scott Stoner is a rather regular smoker, and like the others interviewed, he doesn’t see smoking as something that will immediately affect him. Stoner’s reasons for smoking were slightly different than Hicks and Piebenga’s. Stoner started smoking for job related stress. Like the others, Stoner doesn’t see smoking as something he’ll do for the rest of his life, but at the moment, he doesn’t have any plans to cut back any time soon. Stoner smokes multiple times a week, but not too much. The majority of Stoner’s smoking is done with a wooden pipe, and he estimates an ounce bag of tobacco will last him about a month. Stoner says that although he originally started smoking for stress reduction, the majority of the smoking he does now is with friends. Stoner says he’s been smoking for about a year, so he doesn’t think any of the long-term effects have really become a threat to his welfare yet. Stoner like the others, doesn’t deny there are health risks or that if his smoking persists that he might fall victim to the health issues about which people are warned. Smoking has recently come under a lot of regulation. With this year’s new campus no smoking policy, the places where people can smoke public is dwindling, yet still it’s hard to walk around town without noticing at least a few people enjoying a cigarette. So why do they smoke? It seems most college age people don’t smoke habitually, or at least don’t think they do. They smoke because they want to. They smoke because it’s enjoyable and they don’t think the risks are large enough to dissuade them from it. Smoking is something you can do alone or with others, in many different ways, be it smoking a hookah, a cigarette, or even a handmade pipe. It’s weird, but from these interviews it seems like no one cares about the health issues as much as doctors or health agencies would like them to. Despite all the advertising and everything else involved in the multimillion dollar anti-smoking campaigns, nothing seems to bring the dangers of smoking home to the 18-to-25 male demographic. All the people interviewed didn’t really care about the health issues. Going from these students, smoking doesn’t seems to carry the immediacy of danger that some people would like it to. 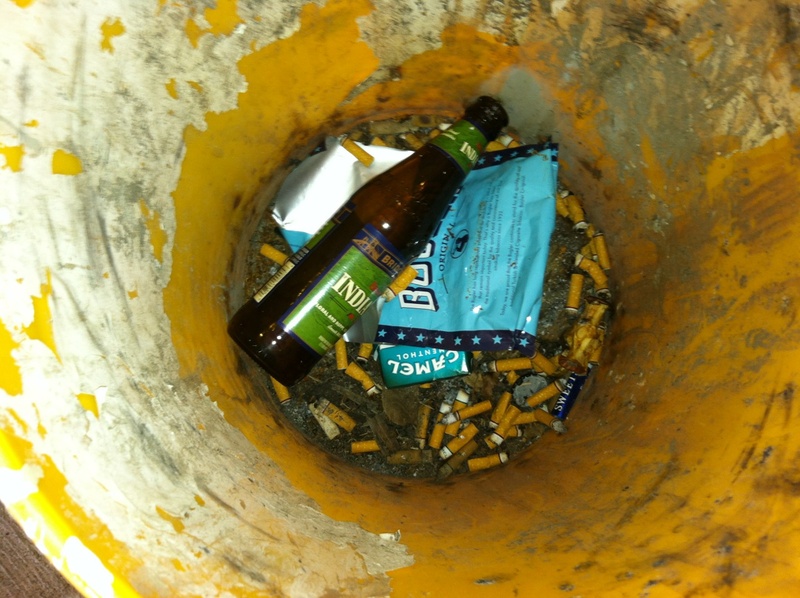 A trash can filled with butts and an empty sack of rolling tobacco. The Accessible Education Center (AEC) at the University of Oregon (UO) is aiming to curb the often-misjudged negative connotation of the term ‘disability,’ using their name change away from “Disability Services” in the fall of 2011 as a starting point to provide integral services to a wider-scope of students who may not identify as disabled, yet would benefit from the support that the center provides. Commonly thought of in terms of gender, racial, and sexual identity, diversity is catchall term that encompasses any and all facets of an individual’s identity beyond what the average person traditionally recognizes as a form of diversity. Students with physical and/ or mental disabilities are frequently labeled as disabled or special instead of being embraced as an equally important part of the diverse culture that defines campus life. “We’ve gone away from the disability services name to include people that don’t want to associate themselves as having a disability because they don’t claim that identity. It is a challenge,” says Jeff Larson, an academic adviser at the AEC. Just like a traditional undergraduate academic advisor at the advising office, Larson’s role at the AEC is to ensure that each and every student has an equal chance of being successful in and outside of the classroom. The challenge comes in having students recognize that they could utilize the AEC to assist and supplement their educational needs. “Each student has a very unique identity and disability is often a part of that identity. Disability is a very large umbrella; a student with a physical disability is going to be very different than a student on the autism spectrum,” says Larson. Students that are commonly labeled as the primary recipients of the services that the AEC offers are those who have a visible physical disability, however Larson is quick to dismiss this generality. This is indicative of how the AEC plans on the name change being reflective of a positive attitude shift towards those suffering from disabilities, apparent or unapparent. However, for those students who do strongly identify with having a disability, the name change is a blurred line. 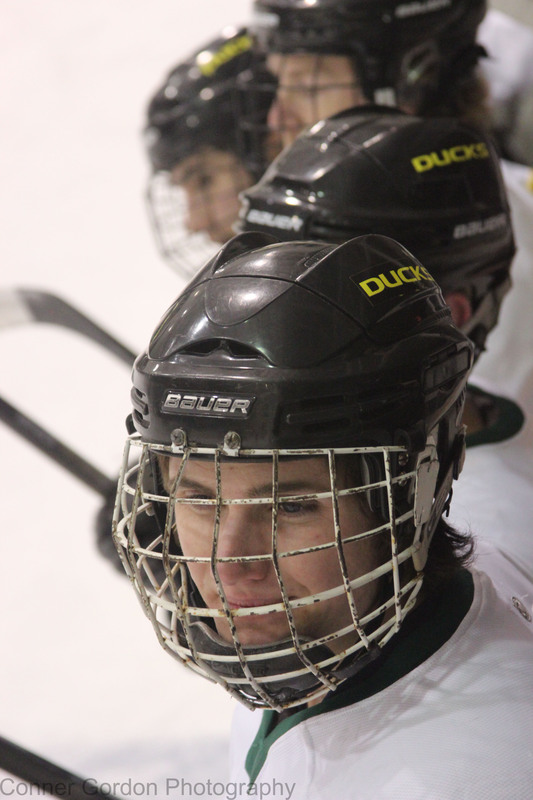 Garrett Roberts, a senior at the University of Oregon and a member of Oregon’s hockey team, does not identify as having a disability but utilizes the services they provide in order to ensure his success in the classroom. “I use the text-to-talk program. Where they take the text of anything and it reads it out loud to you. I also use their notes to inform my teachers that I have the ability to use them through out the year,” says Roberts. The text-to-talk program is just one of many services the AEC offers. The most popular of these services is the Access shuttle, a shuttle that provides free transportation from one campus location to another. This is especially pertinent to those who identify as having challenges with mobility. 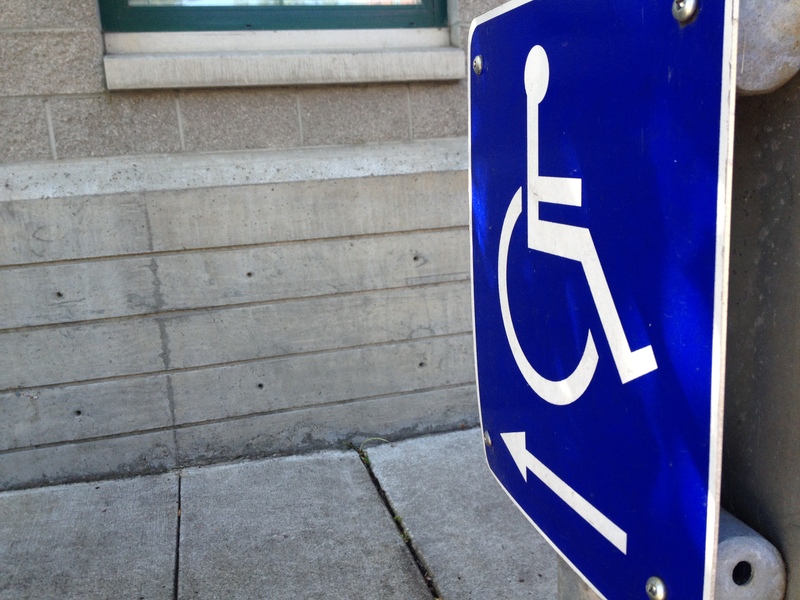 The demand for the Access Shuttle has continued to grow as the number of students admitted to the UO who have physical and mental disabilities has grown accordingly. One reason students do not seek help from the AEC is simply because they are unfamiliar with the name and the services the center provides, especially now that it has veered away from the traditional Disability Services title. This is especially true for students who have non-apparent disabilities such as anxiety, depression, and ADHD. Professors often overlook those disabilities because they are either never mentioned by the student, or seem to lack to severity compared to those students with visible disabilities. 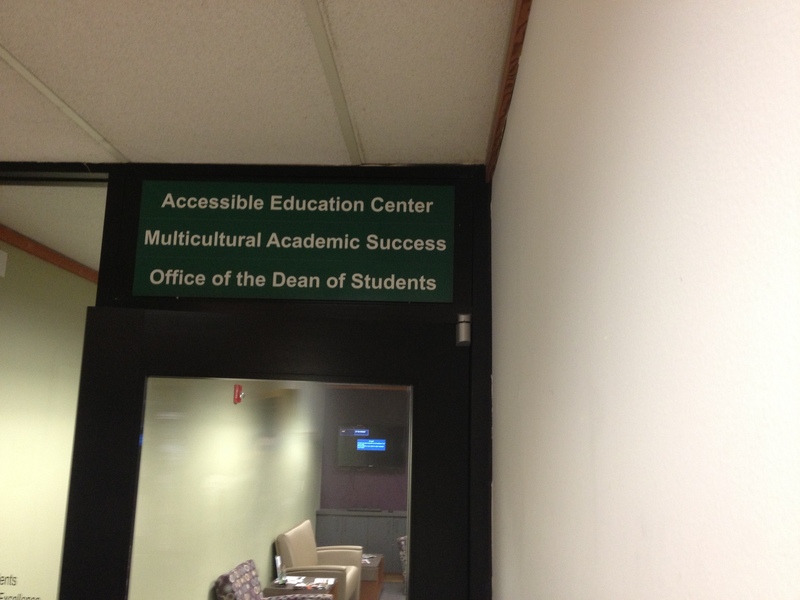 Located in Oregon Hall, the AEC provides academic advising and services for students with physical and mental disabilities. 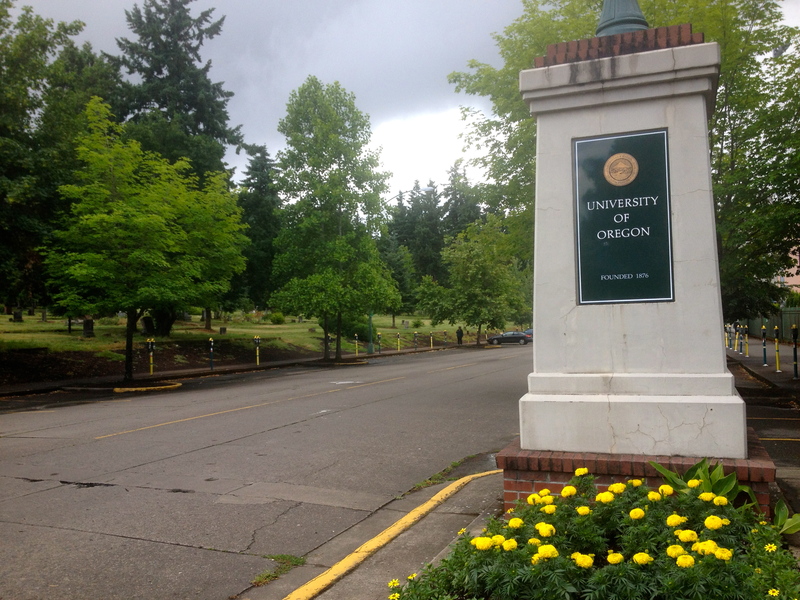 Along with the Access Shuttle, UO offers accessibility options all around campus. Some of these include elevators, ramps, and handicap parking spaces. Garrett Roberts, pictured during an Oregon ice hockey game against Utah, utilizes the services of the AEC to help him prepare for tests. “That will be 5 cent per bag charge sir,” the register clerk told Tyree Johnson at the end of his weekly trip to Safeway supermarket in Eugene. Johnson was puzzled by the employee’s comment. He thought maybe he bought something in particular that required an extra charge. Unaware of Eugene’s recently passed plastic bag ban, Johnson was not only hearing about the new law, but also experiencing it first hand. The 21-year-old is your typical struggling young adult. As a recent high school graduate, Johnson has been going full throttle into adult life working a part time job, attending classes and learning how to balance his budget. Johnson has found his sudden entry into adulthood to not be an easy transition, especially when it comes to the simple life task of buying food. However, as a long time Eugene native, Johnson has found that trips to Eugene’s grocery stores has become more of a costly process due to the city’s new ban on plastic bags. Johnson receives government aid to help him purchase food. On May 1, in order to encourage the use of reusable bags, the ordinance called for a ban of single-use plastic carryout bags within city limits. All retail businesses, including grocery stores, department and clothing stores, convenience stores, and local markets located within the City of Eugene are required to provide only recycled paper bags or reusable bags as carryout bags for customers. Eugene joins other Oregon cities participating in the ban such as Corvallis and Portland, as well as major cities like San Francisco, Seattle, and Austin. This in turn, led to many grocery stores charging a 5 cent per bag fee for those customers who wanted to paper bags. In addition, the 5 cent charge goes directly back to the retailer. Although this may seem like a minimal change, for people concerned about finances it may come across as somewhat alarming. However, some cities partaking in the ban do not require people on food stamps to pay the fee, and according to Eugene’s local paper, the Register-Guard, not until this past week has the issue been presented and discussed at Eugene City Council meetings. This controversy has sparked a new debate in the already heavily deliberated plastic bag ban. Johnson said he is not alone in frustration for the new policy and that often when he is checking out people are upset to hear that they will be charged. According to the Eugene City Council, residents use an estimated 67 million single-use plastic carryout bags each year. The city agrees that single-use plastic carryout bags may offer short-term convenience, but officials also argue that have long-term costs in terms of litter and impact on wildlife and the environment. “We recognize that we are near water life and wildlife and people are socially conscious to help the environment,” Stephanie Scafa said, a zero waste analyst for the city of Eugene. Complaints were also heard when the ordinance was first brought up to Eugene’s city council ranging from how the ban would affect commence in Eugene to inconvenience of customers. Scafa said that through surveys the city tried to address all the concerns. The surveys showed that 56.1 percent of Eugene residents already use a reusable bag when they go shopping. The alternative of buying a reusable bag is not always the best financially, especially if a person needs to buy many for multiple items. The average reusable bag is sold for anywhere from $0.99 to $3.00. Although Scafa stated that their city’s website provides information about the best way to be eco-friendly, as well as tips on how to make the best transition into the new ban. “On our website or if anyone contacts us, we provide all the information they need. We can let people know if people are giving away plastic bags or have free or discounted reusable bags,” Scafa said. In addition, businesses do have option to apply for a one-year exemption from the ordinance requirements due to hardships. However, the exemption expires on April 30, 2014. 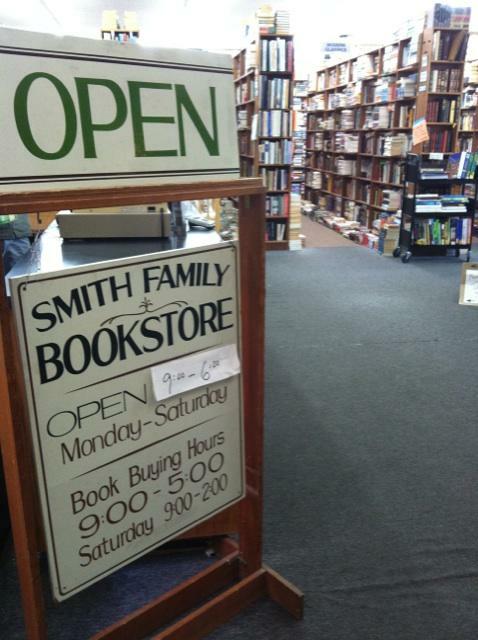 The Smith Family Bookstore, located in downtown Eugene, is one of the 10 businesses that was granted an exemption. 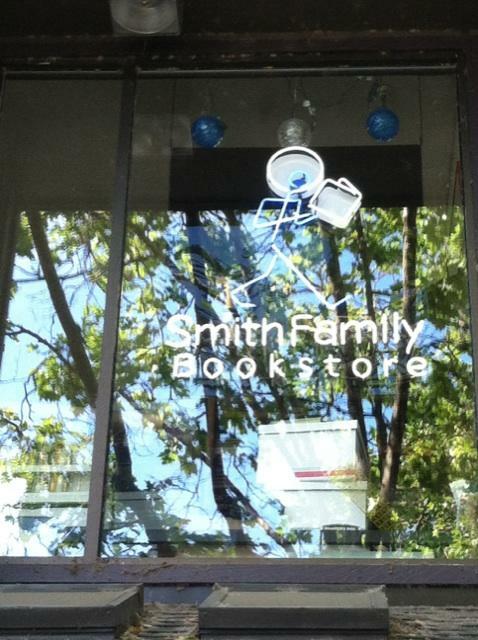 The Smith Family Bookstore had a large amount of plastic bags and wanted to use them instead of wasting them. Mendoca says that often customers don’t notice that they still have plastic bags, but sometimes a few customers will ask why they are not following the new law. Mendoca believes that once the exemption is over the store plans on offering the acceptable plastic bags, which are made of durable plastic (4 millimeters or thicker), as well as just giving out less bags. Ultimately, there is a non-compliance fee for establishments that do not follow the rule. But, recent complaints mentioned at city council meetings prove otherwise. It’s apparent that the fee is a potential problem for low-income residents and families. The council is scheduled to discuss the issue again on July 8. 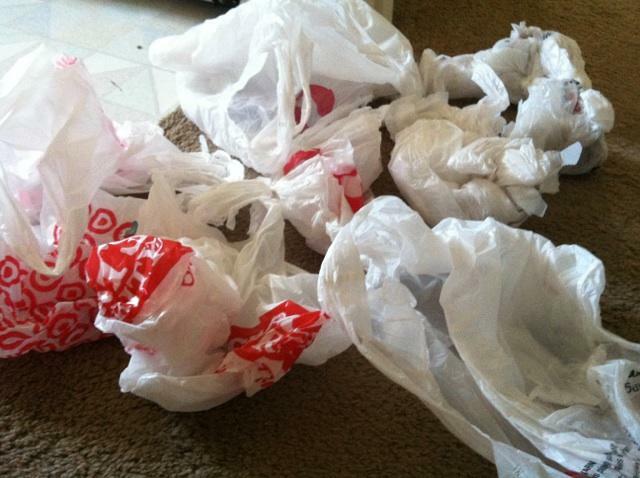 Plastic bags are recently being saved by shoppers since the ban. You might not have noticed but there’s a noticeable difference between the officers on campus as opposed to the police you find downtown. In 2011 the University of Oregon transitioned from using security guards to a dedicated police force. While their authority is that of any other police officer they are not currently permitted to carry firearms. The University of Oregon stands as the only school in the PAC 12 without an armed police force on its campus. “This is the first place I’ve worked where it was a question.” Said Police Lieutenant Andrew Bechdolt; a campus police officer who has been in law enforcement for 23 years. The biggest concern for the campus police is people from outside the university coming onto campus and committing crimes, harassing students or destroying campus property. While the officers on campus have the authority to arrest an individual they can’t actually transport them. Instead, officers have to call the Eugene Police Department to pick up the person they’ve apprehended. In some instances even letting them go with a citation. In instances of domestic violence near campus officers are unable to respond without carrying firearms. “Police officers get killed on a domestic violence call every day and that’s when they have a firearm, when something goes sideways.” Bechdolt said. In cases of a burglary on campus the officers will try to make sure the area is clear if there is no sign of forced entry. If there are signs of forced entry they will have to wait for the Eugene Police Department to arrive. They are also unable to perform traffic stops. Bechdolt recalled a situation where two public safety officers were almost run over by a drunk driver. When the driver stumbled out of the car they apprehended the driver but then had to wait for the Eugene Police Department to arrive in order to transport him. Bechdolt had previously been a supervisor at the Salem police academy. Officers are required to have 16 weeks of training on before receiving another 16 weeks of field training. Part of this training is a system called the Range 3000; a training simulator that uses a blu-ray projector and a replica firearms to act out scenarios that an officer may encounter while on duty. These situations can be altered on-the-fly by a supervising officer during these scenarios. For the last day of training, officers must performs a live exercise which includes 30 role-players, 35 students and the use of live firearms loaded with paint rounds. “There’s firearms here already, there has been, we have a contract with the Eugene Police. When they come to campus now they don’t leave their guns in their car, right? They get out of their car and they have their gun with them. They have the same exact training our officers are going to have. That I have. We aren’t going to hire some flunky off the street and say ‘here’s a gun’” Bechdolt said. Currently the officers carry pepper spray and batons. According to Kelly McIver, the Communications Director and Public Information Officer for the campus police, there had been more concern about Tasers and their misuse. “It’s always surprising to me the number of times that they don’t work because the person has a lot of clothing on, or because there isn’t a good connection made or the person is just able to somehow sustain the shock that they get from that and still go on to commit some act of violent or flee, what have you. It’s just not a substitute.” McIver said. Officers would have to purchase their own firearms so the university would not actually pay for the guns themselves and the state pays for the officer’s training. The additional cost to the school budget is roughly $100,000 to adjust for the pay difference between a sworn police officer and a security guard. This estimate does not take into account cost of living adjustments and in taken from the general fund. The proposal to arm the police will be presented by the university will be presented to the State Board of Higher Education later this month. The ASUO president Sam Dotters-Katz, a law student and shotgun owner, is personally in favor of the arming the campus police and find it to be a necessary measure. According to Dotters-Katz, his two vice presidents Azia Calderhead and Greg Mills are opposed to the plan to arm campus police and extending their capabilities though there isn’t any formal opposition to the proposal within the ASUO. 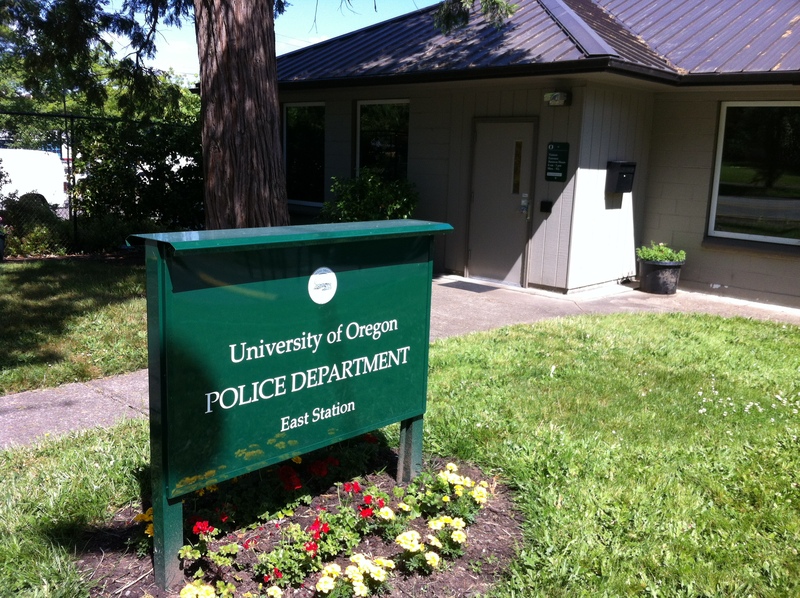 Dotters-Katz had been on a ride-along with campus police and was told that violent assaults in the nearby graveyard were reported to the Eugene police but otherwise not handled by campus police. “Some folks who come from underrepresented communities where there are poor backgrounds and where police presence [is] heavier sometimes view police in a more negative light than folks that come from a more affluent background. Where they don’t deal with police very much. What I can do in that respect is work to ensure that the UOPD undertakes, or is engaged in, real meaningful cultural competency training.” Dotters-Katz said. Dotters-Katz does not believe that this use of extended power would not become standard practice to abuse these extended powers but would “react strongly” if that became common practice amongst campus police. According to McIver the university would have to authorize officers to pursue an investigation off campus. In cases of nearby burglary, theft – even sexual assault – the Eugene police are often stretched too thin to respond to the situation or perform a thorough investigation. Until the State Board of Higher Education can rule on this change to the university’s policy regarding its officers, the campus police remain without firearms and thus a limited scope of what they can and cannot do for the community in regards to violent crime on campus. Ultimately the situation will soon be in the board’s hands so there is still a chance that the proposal is benched or outright denied. Though currently there is no formal opposition to the proposal as it stands. 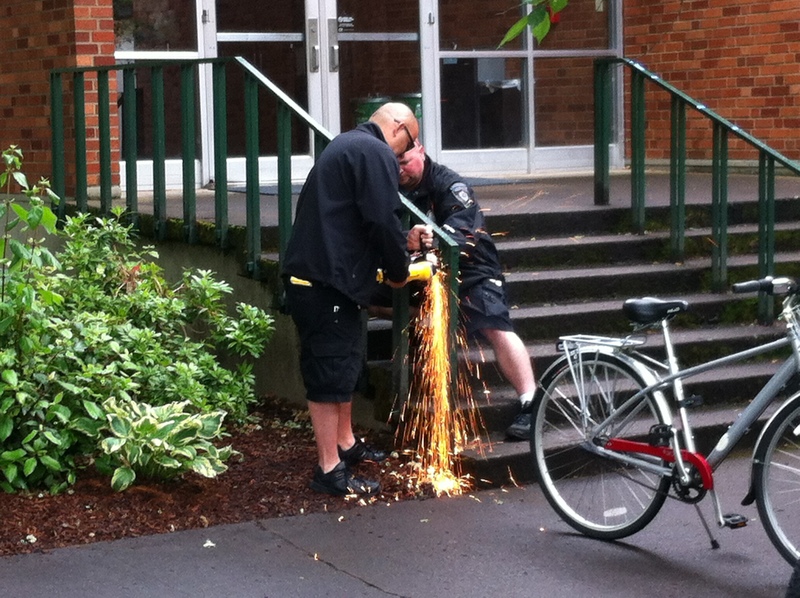 Transportation officers remove a bike lock from a campus railing. Television is no longer a static activity. Social media is changing the way people interact with television and within television show fandoms. Sonya Neunzert, 20, a digital arts major at the University of Oregon, said that social media is almost a requirement at this point. She uses Facebook and Tumblr to engage with communities that share the same interests. Neunzert thinks that social media allows people to have insight into the thoughts of others on a daily basis. It’s effective, creative, and information spreads quickly. Neunzert isn’t alone in her thoughts. People are starting to watch television differently and starting to think about more than just the television show as an end unto itself. “I can watch TV and see cool GIFs when they happen. When I’m watching TV, I can break it up into images and reactions I like…if I see a cool screencap that makes me want to either share it on Facebook or reblog it on Tumblr that will stick out in my mind,” said Ana Lind, also a digital arts major at the University of Oregon. Social media is relatively new compared to television. The television industry is just starting to realize that there is a large market that basically lives on the Internet. “Pretty much all of my time is spent on social media. When I’m in class and when I’m asleep is when I’m not on one of those sites,” said Tessa Freeland, 19, a cinema studies student at the University of Oregon. Neunzert, Lind, and Freeland all said that they see mentions, photos, stories, and links pertaining to television shows on social media sites such as Tumblr, Facebook, Reddit, and Twitter on a daily basis. Social media is quickly becoming one of the most effective ways to monitor how many people consume what kinds of television. It has been confirmed by a Nielson/SocialGuide study that there is a positive correlation between the increase of talk about television shows in social media and their ratings. SocialGuide uses Twitter to measure discussions of TV. The social television analytics site was bought by Nielson, which now has a way to rate television shows that includes data gleaned from Twitter. This way of understanding ratings can gather more accurate data because not all television is watched in real-time (DVR or online), but people on Twitter will still post about the shows they are watching regardless of when they watch it. “My TV viewing has changed drastically since 2005. I used to just watch network television and sit through commercials and all of that. And even before Netflix really caught on my friends and I just started downloading episodes to skip the commercials…I do have cable TV again for the first time in a couple of years, but we tend to only watch on-demand things anyways…we rarely watch anything live as it airs,” said Patrick Lee, 26, digital arts major at the University of Oregon. The Neilson report also says that these findings are not evidence of causality, but rather are indicative of a new type of community in social media where people listen to what others are saying about television shows and may be enticed into watching the show themselves. In a poll on how Facebook and Twitter impact television, The Hollywood Reporter found that three out of 10 people watch a TV show because of interactions on social media sites. “Between 60-70% of people, when they’re watching TV, also have a second screen device, such as a laptop, an iPad, or a mobile device,” says Mike Proulx in the book he co-authored: “Social TV: How Marketers Can Reach and Engage With Audiences by Connecting Television to Web, Social, Media, and Mobile”. People don’t just watch TV shows; they interact while watching them. People discuss the shows with each other, tweet to and about celebrities, and participate in social media campaigns put on by networks and shows. “Especially after I watch something, I’ll go onto Facebook and I’ll either make a post about it or message somebody who I know watches it and we’ll discuss it and then I’ll go to Reddit and find a thread about or pictures from it. And I use social media while watching television shows, though not too often. Usually it’s during key episodes, especially with ones I actually do watch on live TV, such as Game of Thrones and True Blood. During either the finale or and important episodes I’ll have Facebook open, or Skype and be talking with a person who’s also watching it at the same time,” said Freeland. Twitter specifically gives fans a more fast, uninterrupted, and personal way of talking and getting new information about their favorite shows. Most networks on Twitter also release behind the scenes footage, commentary, insight into future episodes, and updates about the shows and celebrities involved. There are many examples of television networks that use social media to their advantage, but The CW Television Network (joint-owned by CBS and Time Warner) is a prime illustration of how to successfully use social media to gain rankings but also build large, strong social networking communities around a television series. The CW is well-known for it’s shows: “The Vampire Diaries,” “Gossip Girl,” “America’s Next Top Model,” “90210,” “Supernatural,” and the new “Beauty and the Beast,” which is quickly growing in popularity. The CW has made it a point to connect to fans via social media, specifically Twitter. In the favorite TV show category of Twitter’s Shorty Awards, ABC’s “Pretty Little Liars” (which has over 1 million followers) took first place. “The Vampire Diaries” garnered third place, “Teen Wolf” fifth place, and “Supernatural” tied for seventh place with ABC’s “Castle”. Shows like “Supernatural” and “Teen Wolf” rank low on the Nielsen scale because they are not watched on live television as much as they are online, where they are ranked in the top television shows watched. This is because The CW and MTV target a younger audience, and this audience can be found largely online. Shows aired on The CW and MTV are no doubt successful, but their success is not simply due to television ratings. Their success is built on large fanbases on Twitter, Facebook, and Tumblr that push the shows and their celebrities to new heights. According to GetGlue’s statistics, “Supernatural” was the most talked about show of 2012. “Supernatural” has a fanbase that is unrelenting and extremely loyal to the show and to the cast and crew involved with the production. GetGlue is a social networking site (connected to Foursquare) that focuses on television. It allows users to “check into” to the television shows, movies, and sports they are watching, using the website or a mobile app. GetGlue is partners with: 20th Century Fox, The CW, ABC Family, ESPN, HBO, MTV, Showtime, PBS, Syfy, USA Network, Universal Pictures, and Warner Bros., to name a few. Though each platform seems to have it’s own communities focused on certain shows. Lind, who considers herself a bit of a fan in the progress of watching the show, said that the CW Television Network’s “Supernatural” is heavily concentrated on Tumblr while other shows like “The Vampire Diaries” are more heavily followed and talked about on Facebook and Twitter. Tumblr’s unique form of blogging that makes it possible to get a large amount of information to a large amount of people in a relatively short amount of time within a particular fandom. The extent to which the SPN Family can influence results is exemplified by the 2013 People’s Choice Awards where “Supernatural” received the award for Favorite Sci-Fi/Fantasy TV Show for the second year and won against shows like “The Walking Dead” and “The Vampire Diaries”, which are routinely higher than “Supernatural” in television ratings. The SPN Family also won the 2013 People’s Choice Award for Favorite TV Fan Following, beating out fans of “Glee”, “Pretty Little Liars”, “Once Upon a Time”, and “The Vampire Diaries”. “I’d say there’s definitely a distinct culture for every social media, especially Tumblr. I’m really surprised actually by how united that culture is because—It does depend on who you follow—it’s condensed in a way that even though Tumblr is amongst so many people, they’re all communicating with each other in kind of the same way. That doesn’t transfer necessarily to Facebook,” said Lind. Neunzert says that information gets to people who aren’t even in certain fandoms. She also says her TV viewing has changed due to social media. She is more connected with the fandoms, and is thinking about television shows in an external context rather than in an internal, intertextual way. Ana Lind scrolls down her Tumblr dashboard. The U.S. Northwest is known for its vibrant environments and vast amounts of local organic farming, all of which being consistently protective through political activism. In fact, both Portland, 56 restaurants, and Seattle, 78 restaurants, are among the top nine cities with the most organic food restaurants, according to Organicauthority.com and urbanspoon.com. However, Eugene isn’t too shabby itself in having many organic restaurants, whether it’s exclusively organic or mostly organic. In fact, 12%, or 30 out of 250, of Eugene’s total restaurants are listed as organic, according to tripadvisor.com and urbanspoon.com. The most recent to join these ranks is Red Wagon Creamery, owned by Stuart and Emily Phillips. In a city dedicated to organic and local food, however, opening up a new organic food hub is not easy. But Mr. Phillips thinks he has the right formula to compete in this popular Eugene market. And his strategy seems to be working well. After the new, organic ice cream parlor opened up only a couple of weeks ago in downtown Eugene it seems there is nothing to worry about for Phillips. However, Red Wagon is just one organic restaurant in this city and after the freshness of a new ice cream parlor subsides, it must compete with the established organic hubs of Eugene. Cozmic Pizza is an all-organic pizza restaurant in the heart of downtown Eugene. Even the soda that they serve to their customers is not brand name, like Pepsi or Coke. Although both restaurants are organic, they are different enough not to have to compete with each other. Red Wagon gets their ingredients from the farmers market to set themselves apart and Cozmic tries to do things a little different as well. However, Eugene takes it a step further than the number of organic restaurants by, once a term, bringing in locally grown foods for an organic feast in the University dining venues. Carson and Barnhart, the two buffet-style venues on campus, have a Farm-to-Fork meal. Mollee Bennett, a resident of University Housing as a three-time Resident Assistant, has been to many Farm to Fork meals in dining. However, for as popular as the seemingly young organic movement is in Eugene and the rest of the Northwest, there are still issues with the definition of organic. According to the USDA website, for organic food to receive the proper certification, it must first have its operations certified under the USDA guidelines as well as provide a history of the substances applied to the crop in the last three years, among other requirements. Unfortunately, not everything labeled organic on the shelves can be trusted. According to an article by the Seattle Times, foods that are not organic end up on the shelves officially labeled as organic because the USDA does not enforce their own rules. For organic restaurants this should be an issue. According to Mr. Phillips, all organic restaurants are supposed to have a paper trail that leads back to the organic farmer through different organizations. However, as easy as that process seems to be, Phillips said customers should always be weary because there are always going to be places that claim they are organic when they aren’t. Eugene, in particular, has one of the highest percent of organic restaurants compared to total restaurants within its city limits at 12%, according to tripadvisor.com and urbanspoon.com. However, Portland, two percent, and Seattle, three and a half percent, are the faces of the organic popularity in the Northwest. As Eugene is trying to separate itself from the umbrella that is the nationwide organic movement. That may be a lot more difficult than a surplus of organic restaurants. According to the Organic Trade Association, the nation’s total organic food sales have risen from $1 billion in 1990 to just under $27 million in 2010. The USDA has noticed the same growth over the years. Its website confirms a double-digit growth over the last decade in the sales of organic foods. However, not everyone is jumping on the bandwagon of naturally grown crops and naturally fed animals. Even in Eugene, full of support, there are people who do not want to join this ever-growing movement. The Eugene community has always been an image of inclusion and support for differing views. The ratio of those who support organic and those who don’t may be well shy of 50-50, but it is clear which direction Eugene is moving towards. 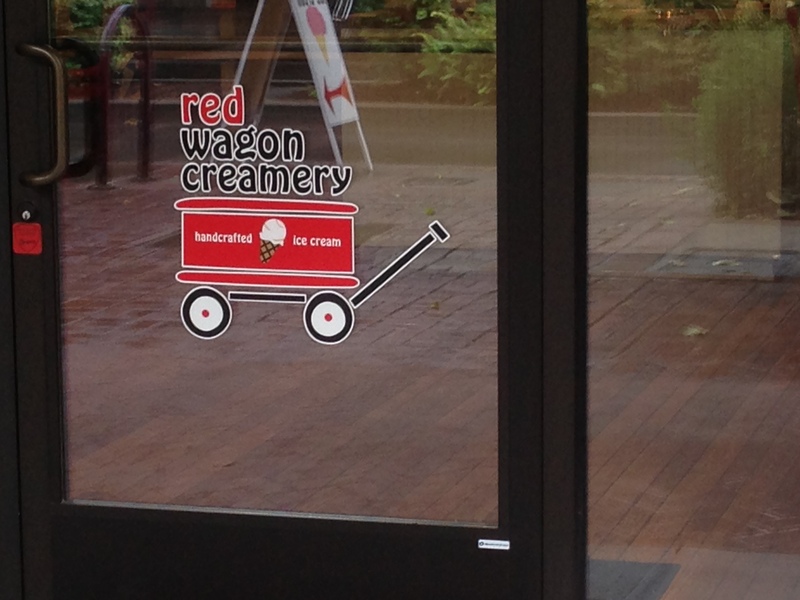 With its new Red Wagon Creamery, Eugene as a city adds to its already vast organic selections. And those large organic numbers are part of the reason Eugene is unique in an already unique world. Red Wagon is located on Broadway, just past Willamette and is a great way to stay cool in the summer. 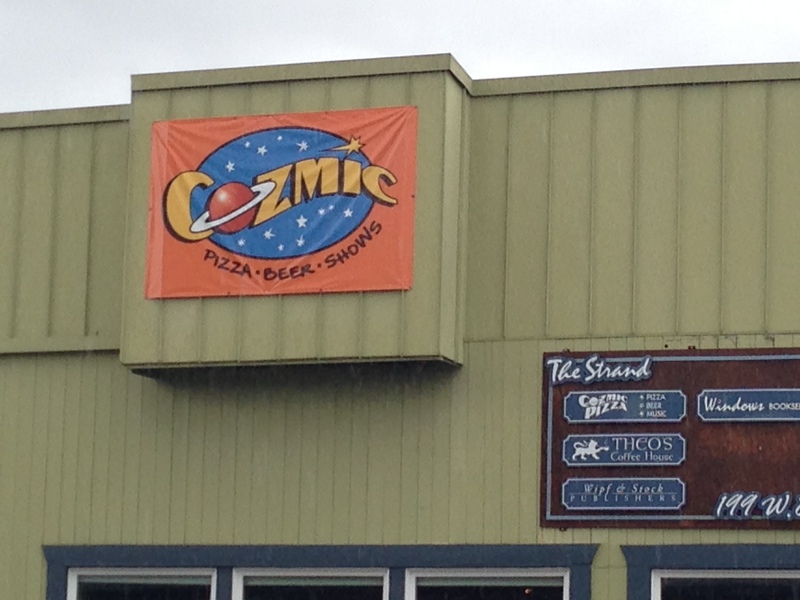 Cozmic pizza is a great place to have a guilt free pizza with your friends. Located on 8th, they also have live shows for local bands. Once a student finishes high school, then next step is four years of college. Freshman, sophomore, junior, senior. This is just the way it is….right? Four consecutive years of college directly following the completion of high school is the norm and expectation for students in the United States. However, there are individuals who break this norm in the form of a gap year. A gap year, as defined by the American Gap Year Association is, “A structured period of time when students take a break from formal education to increase self-awareness, challenge comfort zones, and experiment with possible careers.” This is a practice that has been accepted and encouraged in other countries, especially in Europe, for some time. However, in recent years, students in the United States have started to catch on. A quick search of the Internet shows multiple gap year programs that provide students with structure and a program for how to spend their time off from school. The American Gap Year Association works to bring together and consolidate many of these different gap year programs. Most students spend their gap year time to travel, volunteer, or work towards something that will benefit them in their future career and education. Although there is not very much quantitative information about students who take gap years, as much is “off the record,” the American GapYear Association says that the number of students who take a gap year is growing substantially. In just the past three years the US Gap Year Fair, a national circuit that acts as a platform for many gap year programs, has had a 150% increase in student attendance. The enrollment in American Gap Year Association programs has increased in a similarly large fashion. Robin Pendoley is a Co-director of USA Gap Year Fairs and a Co-Founder and CEO of the US non-profit Thinking Beyond Boarders. He has a Ph.D. in education and has worked and taught in public schools for 10 years. In his experience with the education system, Pendoley says he found that most schools are preoccupied with grades and test scores rather than with preparing students for college. A gap year can prepare students for college and the “real world” in a way that cannot be taught in a classroom. Pendoley wanted to help students develop interests and skills that can be invested to make a difference in the world. “Students can develop skills to make exceptional changes in the world,” he said. This was the purpose and intent behind his organization. Thinking Beyond Borders is a gap year organization that offers students the opportunity to learn and develop a global perspective through education and experience-based programs in countries such as: Ecuador, Peru, Cambodia, the US, China, India, and South Africa. “It’s (taking a gap year) an opportunity for students to go in the world and engage with real world issues that they’re passionate about,” Pendoley says. “To see how their talents relate to real-world issues and to test their values critically against the real world.” Once students learn more about themselves and how they can make a difference during in the world, Pendoley says the hope is that they will return to pursue a college degree that will prepare them to go and make that change. “It’s about creating students who love to learn and know why they’re learning,” said Pendoley. Studies from the American Gap Year Association say that students who take a gap year before college are 90% likely to return to college and be more confident about their career choice. An example of such a student in Natasha Haynes. Haynes is a student at Lane Community College and she in no way regrets taking a gap year in Mexico after graduating high school. She worked at a resort and had invaluable experiences that taught her independence, the Spanish language, and a hard work ethic. Her year abroad also gave her a new perspective on education. Another such student is Else Conrad. 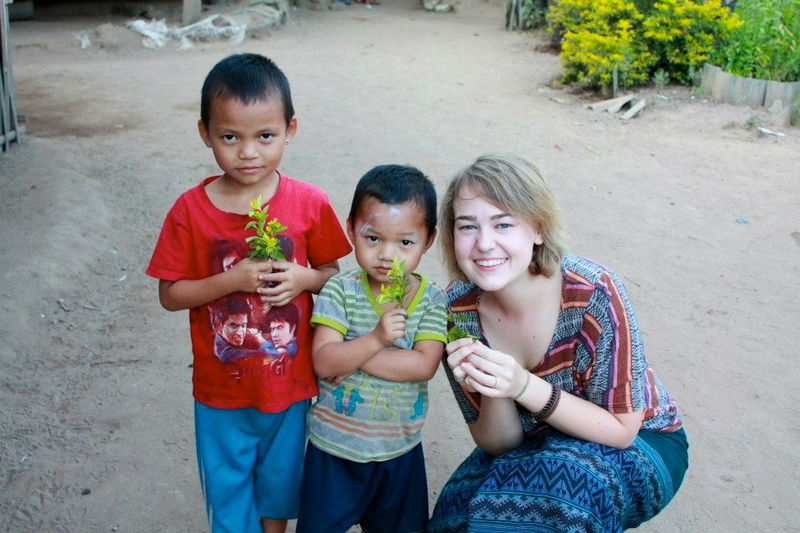 During her sophomore year at the University of Oregon, Conrad realized her desire to travel and help people in other countries. She changed her major from music to linguistics, and looked for ways to pursue her new dream of teaching English in a foreign country. “There are options other than college to be successful,” Conrad said. This was the 21-year-old North Bend native’s mentality as she took off last year, in between her sophomore and junior years, to pursue a different kind of education. For six months of this current school year, Conrad studied in Norway, traveled to Burma, and lived in a rural village in the jungle of Thailand. She took these travels as a part of a Christian mission program called Youth With A Mission (YWAM). This program incorporates four months of language and Bible training, with two months spent abroad doing mission work. Conrad can sit down and talk for hours about her adventures abroad and has two full photo albums as proof. Although it has delayed pursuing her degree, she doesn’t regret her decision to take a gap year. Conrad has recently made the decision to again return to the village in Thailand, but this time for an entire year. Her first gap year from college helped her to discover her desire to live with a global mindset and with the intent to make a difference in the world. Before her first trip, Conrad felt supported and encouraged by those around her. However, now that she is going again, feedback has not been as positive. “You’re going to be a bum and never go back to school,” Conrad said as the response she got from many concerned friends and family. However she says she has every intention of completing a degree in linguistics by 2016, after she returns from Thailand next year. Although Conrad plans on living overseas permanently, she said that having a degree is imperative to getting a job, no matter where in the world you live. But her taking a gap year has meant changing her plans in terms of a college education and what she wants to do with her degree. During her year abroad, she discovered her love and long-term plans for a place and a people that a year ago she never even knew existed. She was able to connect and relate with a place and a group of people who live much differently than her. She was changed by her experience and it taught her how to pursue a life centered around what she is most passionate about. Conrad is a living example of a successful gap year and the course of her life has changed because of her time abroad.